I agree with the unknown author of an e-mail forwarded to me, which I quote below. I frequently do not always agree with Senator John McCain politically, but I have the utmost regard and highest respect for his service to our country and what he endured for this nation. This story is attributed to Senator McCain (and confirmed as being true by Snopes), and is made even more dramatic in light of a ruling by the Ninth U. S. Circuit Court of Appeals on June 26, 2002 which found that the words "under God" in our Pledge of Allegiance to the American Flag were considered to be unconstitutional. Fortunately, in this case at least, the U. S. Supreme Court reversed this decision in June, 2004. The fact that one atheist was able to attack the fabric of our wonderful country to such an extent demonstrates very clearly that we should never, ever, take our freedoms and proud God-fearing heritage for granted. "As you may know, I spent five and one half years as a prisoner of war during the Vietnam War. In the early years of our imprisonment, the NVA kept us in solitary confinement or two or three to a cell. In 1971 the NVA moved us from these conditions of isolation into large rooms with as many as 30 to 40 men to a room. This was, as you can imagine, a wonderful change and was a direct result of the efforts of millions of Americans on behalf of a few hundred POWs 10,000 miles from home. As part of the change in treatment, the Vietnamese allowed some prisoners to receive packages from home. In some of these packages were handkerchiefs, scarves and other items of clothing. Mike got himself a bamboo needle. Over a period of a couple of months, he created an American flag and sewed it on the inside of his shirt. Every afternoon, before we had a bowl of soup, we would hang Mike's shirt on the wall of the cell and say the Pledge of Allegiance. I know the Pledge of Allegiance may not seem the most important part of our day now, but I can assure you that in that stark cell it was indeed the most important and meaningful event. One day the Vietnamese searched our cell, as they did periodically, and discovered Mike's shirt with the flag sewn inside, and removed it. That evening they returned, opened the door of the cell, and for the benefit of all of us, beat Mike Christian severely for the next couple of hours. Then, they opened the door of the cell and threw him in. We cleaned him up as well as we could. sacrifice and courage that thousands of Americans have made to build our nation and promote freedom around the world. You must remember our duty, our honor, and our country. 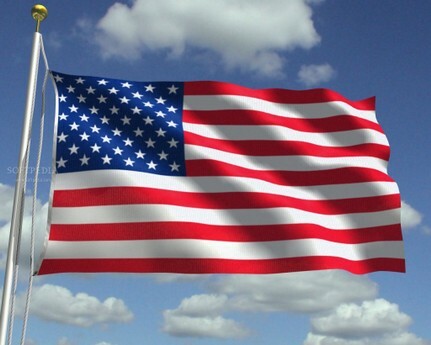 I pledge allegiance to the flag of the United States of America and to the republic for which it stands, one nation under God, indivisible, with liberty and justice for all."